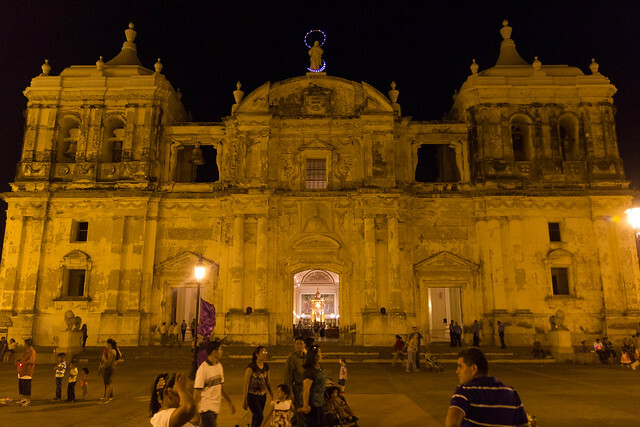 Leon is one of the most highly recommended places in Nicaragua. Located in the northwestern lowlands, this city does not only feature ridiculously high temperatures, but also beautiful surroundings and exciting history. The city manages the intricate balance between being attractive to tourists and not feeling like a pure tourist spot. 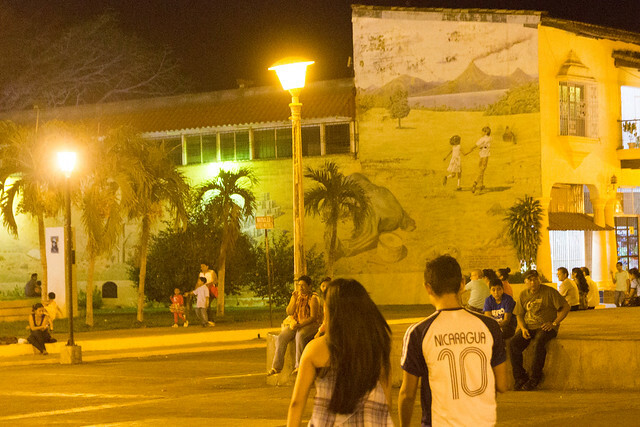 While there are a ton of hostels in and around the city center (I stayed in the El Albergue a Leon, $6/night + pancakes and coffee for breakfast is pretty hard to beat), there also are parts of the university and the streets and places fill with Nicaraguans once the sun sets and temperatures drop to semi-reasonable levels. To the left of the white cathedral lies the monument for the heroes and martyrs. 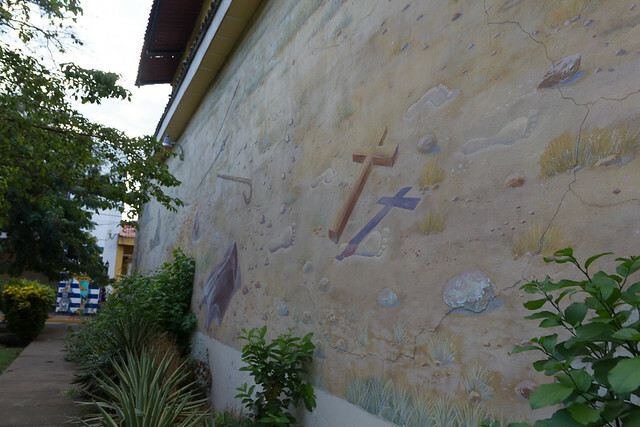 On the side walls, a mural depicts the history of Nicaragua and hope for the future. It is the result of a Hamburg-Nicaraguan project with Sönke Nissen-Knaack as one of the main contributors on the Hamburg side. A view back in time. Going forward in the past. 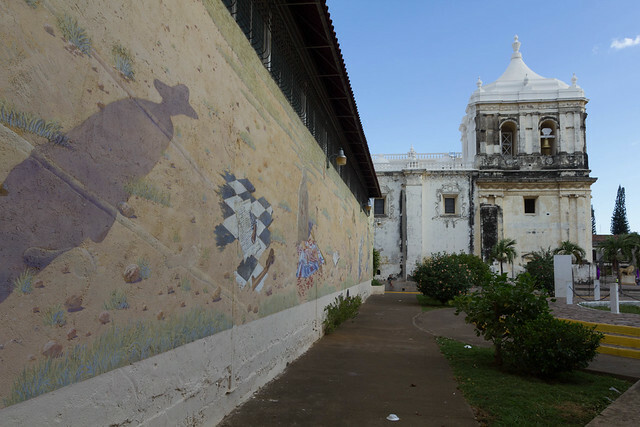 Facing the cathedral, the museum of the revolution invites visitors to dive deeper into the not so distant history of Nicaragua. 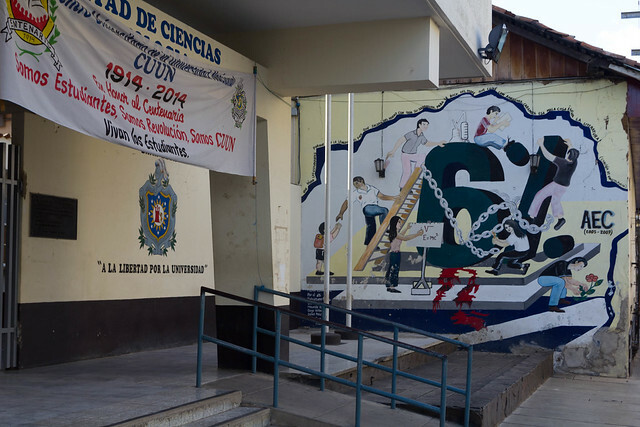 In 1978 Nicaraguans started a rebellion against the US(backed) dictatorship. 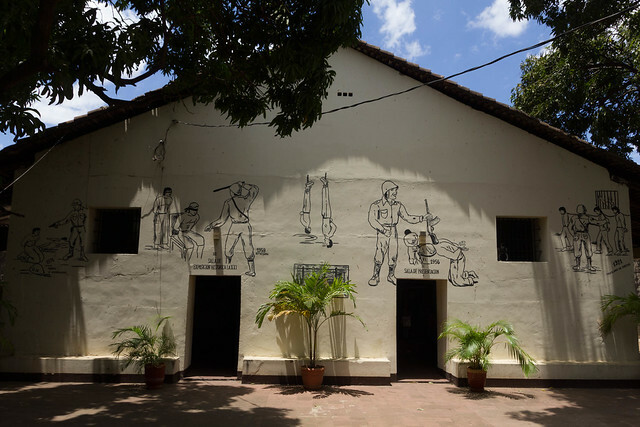 If you have a solid understanding of Spanish this museum is an absolute highlight, as the museum guides were part of the revolutionary army and enrich the historic narrative with personal memories. My guide told of attacks by the government army with heavy arms and of revolutionaries fighting the tanks with Molotov cocktails. 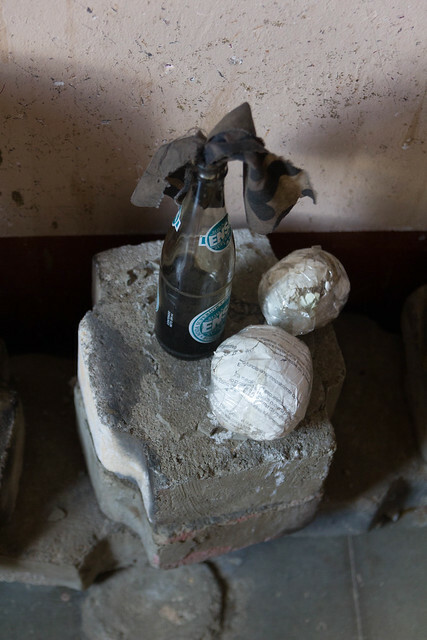 The cocktails as well as the self-made hand grenades also caused substantial damage when they went off during construction and launching. 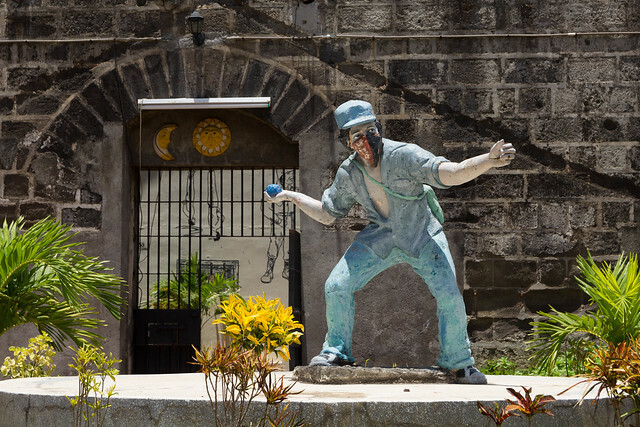 He told of government prisons that hardly anyone would leave alive, and regretted that once captured many of the government soldiers were killed by the people in revenge for the murders they committed during the war. 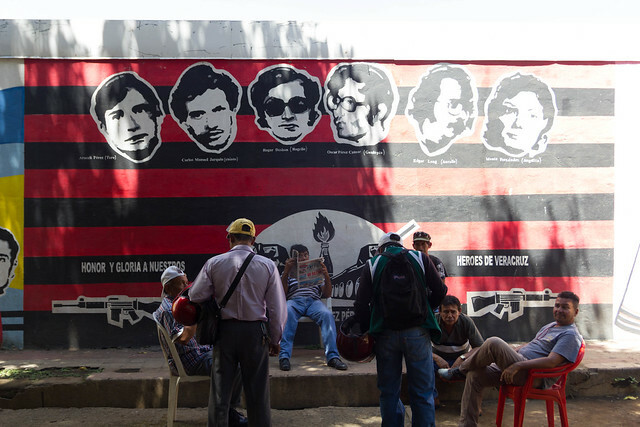 He remembered the heads of the revolution. 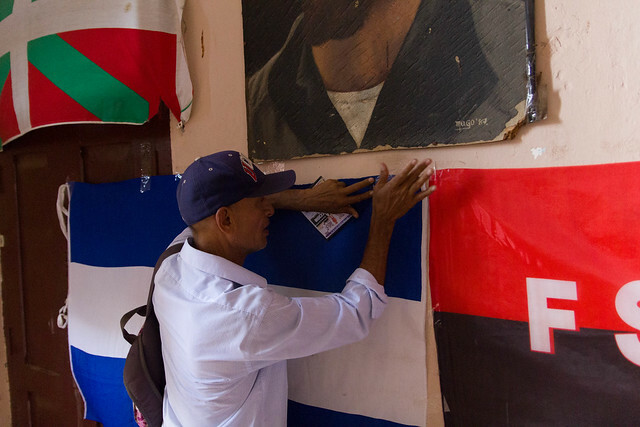 Most of them fell during the war while the survivors now serve as high rank government officials (including president Ortega). When we got to the photo of the celebration of the victory in Managua, he remembered the atmosphere and the feelings he had at this time. This all brought the history back to life and made the museum much more interesting than most other history museums I’ve visited so far. 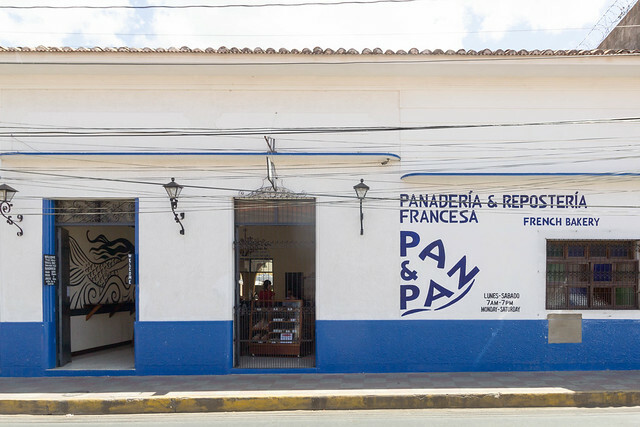 One of my personal highlights was a visit to Pan y Paz, a French style bakery that sells good bread and decent Nicaraguan imitates of European cheese. I went with the big cheese plate for two to three people and rejoiced over the best cheese of the last three months. Now I know that it is possible to make good cheese south of Wisconsin. I don’t know why it’s not done more frequently but it definitely is possible. This bakery alone makes Leon well with a visit during a longer central America trip. The art museum is pretty decent, too (no photos allowed), while I found the museum of legends and traditions not too impressive, largely due to a severe lack of informational texts at the exhibits. 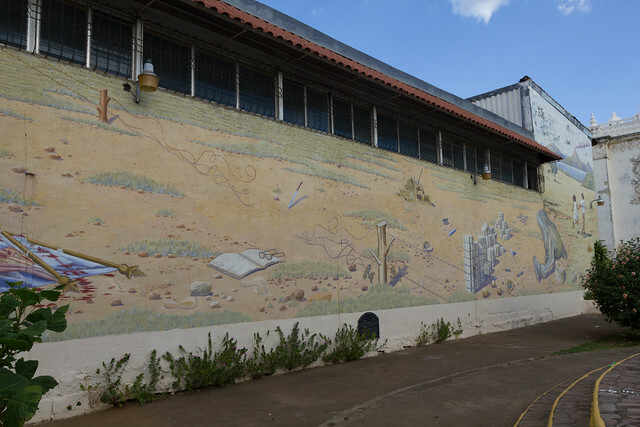 The Museum of legends and traditions is set in an old prison. 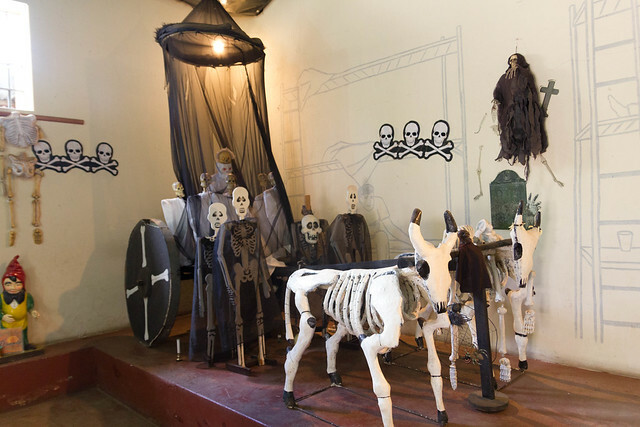 The walls are used to display traditional torture methods. A bit of information on this carriage wouldn’t have hurt.